There was a time when simply building a lot of blog commenting and social bookmarking would be enough to get desired ranking in SERP (Search Engine Result Page). Then some major Google algorithm updates took place and newer form of link building like guest posting campaigns, press releases started playing vital role in ranking websites. But excessive or over-optimized things are never good at all. 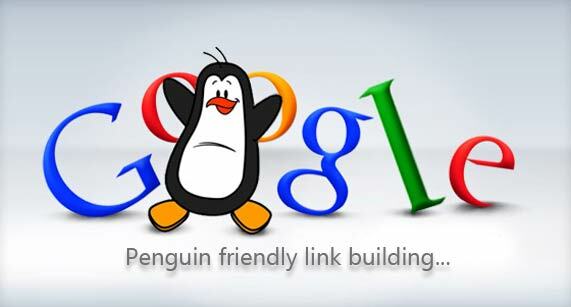 Even all the major search engines including Google, strictly prohibited building excessive backlinks to get higher ranking. Even, some link building techniques that were very much effective for better ranking couple of years ago, are now considered as spam as per latest Google algorithm updates. In fact, search engines like Google are continuously changing their algorithms to prevent IMs from spamming. Today I am going to share 10 major types of backlinks that you usually do for better ranking of your site, which are pure spam from the view point of search engines and may hamper your ranking instead of improving. Selling or buying links for the purpose of passing page rank or link juice may hamper your site’s ranking. These paid links also include exchanging posts or money for getting links, exchanging services or money for getting links or even offering some one “free product” in exchange for them writing about the product and adding a link. So if you want to secure your site’s ranking, never go for these kinds of paid links. It’s really great backlinking technique to publish your valuable articles or make guest posting in other websites adding links to your site until you are not doing it in excessive extent. Because if you just do excessive guest posting to get keyword enriched backlinks, search engines may penalize your site for over-optimization. So try to publish valuable articles and guest posts in eZinearticles, Hubpages and Squidoo etc. to obtain valuable link juice to your site. You often see these kinds of flashy advertisements over the web promising you to build hundreds or even thousands of backlinks with a very little work. These kinds of link building websites often use tools or programs to automatically generate backlinks to your site which help you ‘dominate’ search engines but actually is a sure way to get your site banned from search engines. Keep in mind that since you were able to find these kinds of automated services over the web, search engines’ spam teams can also find them too. Exchanging links with other websites are pretty fine and crucial for site’s ranking until those links are natural, I mean as long as the link exchange makes sense for the website visitors. For instance: an online earning related site can easily exchange links with other online earning related sites without having troubles. But if the site exchanges links with sports or gambling sites, then the cross-linking looks unnatural and search engines may penalize the site. Always use your common sense while exchanging links and make sure that the link exchange makes sense for the website visitors. As per latest algorithm updates, you must use links having the ‘rel=nofollow’ attribute with the articles or ads for which you pay. If you add dofollow link with your paid ad that passes page rank, search engines might see it as a manipulative backlink and penalize your site. You don’t need to submit your site to thousands of social bookmarking sites that will never send you a single visitor to your site. The same thing you should keep in mind while submitting your site in relevant directory sites. When a directory or bookmarking site send your website visitors, it’s worth getting the links. So ignore low quality sites as they won’t help you improve ranking. If you have used any text ads in other websites linking to your own website, make sure that you have used the ‘rel=nofollow’ attribute in the links attached with the text ads. Otherwise, it’s quite possible that search engines might see it as a manipulative backlink. You shouldn’t use these sorts of paid tools as major search engines don’t like this kind of artificial links. Google likes websites having inbound links from relevant sites only. After several major search engine algorithm updates, search engines in these days focus on quality backlinks rather than quantity. In fact, search engines like Google don’t like bulk link building and also don’t motivate users building artificial links using automated programs or tools. Hope, you guys will definitely able to improve your websites if you avoid building all these 10 types of backlinks that Google doesn’t like. Best of luck.